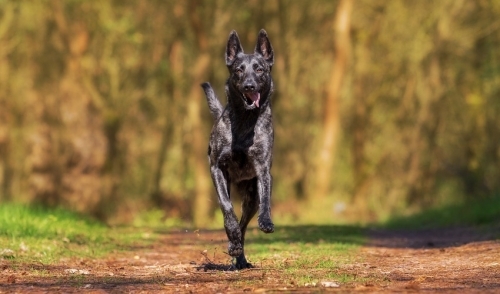 Our Fresh Breath line is built on the concept of making pet dental easier by removing the toothbrush. 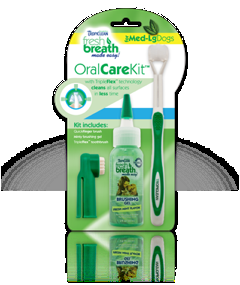 Our Fresh Breath line is built on the concept of making pet dental easier by removing the toothbrush. We congratulate those of you who have "braved the jaws" and incorporated brushing into your pet care routine. Using a toothbrush will only speed up the plaque and tartar removal process. That is why we created the Oral Care Kit for our friends, who we like to call "Traditionalist". Our kit includes specially formulated mint gel, QuickFinger brush and TripleFlex toothbrush. These cutting edge tools help remove plaque and tartar and freshen your pets' breath, cleaning all surfaces in less time.